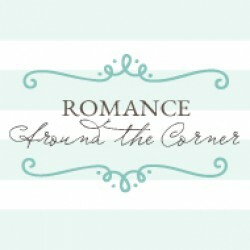 Originally posted at Romance Around the CornerSource: A review copy was provided by the author.This book’s premise was what caught my attention: a grad student lives and takes care of his boyfriend’s apartment and in the meantime meets an organic farmer that makes him question the choices he’s made so far. Of course it’s not as simple as it sounds. The boyfriend is a married conservative politician. 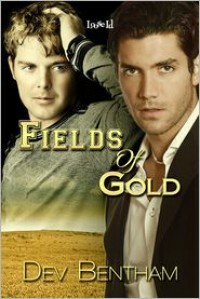 When Levi meets Pete and their attraction flares, he realizes that his life is a mess. But he’s also afraid to lose the comfort that his lover represents, so at first he resists Pete’s advances. It’s not until things get even more complicated that he decides to take action and change his life.I liked Fields of Gold. The story was original and the characters likeable -- at least Avi and Pete were. It’s a straightforward book about a guy who isn't satisfied with his life, and some external circumstances force him into doing something about it. In the end, he works to get there, but the decision doesn't come from introspection. His advisor tells him that he will lose his teaching position if he doesn't finish his thesis soon; Pete comes to his life and that’s when he realizes he’s not happy with his current relationship; the politician develops a nasty case of aggressiveness, so that’s when Avi finds the balls to call it quits; and overall he just needs help to figure out what’s wrong with him and how to fix it. It was authentic, because not everyone grows by their own means, but his inability to act wasn't a character trait I appreciate in a romance hero. However, this is an author who has a knack for make me like characters that work hard to be unlikeable.I think the book’s biggest problem was its length, and this is an issue that keeps hurting Ms. Bentham’s work. The characters and stories have interesting issues but they are too ambitious for such short books and end up looking underdeveloped. The potential is there, but I wish we had seen a more in-depth exploration. It all happens to easily and everything happens to Avi. His passiveness keeps bothering me and as much as I enjoyed the story —because I did, it doesn't sound like it, but I did—I keep getting back to the same conclusion: he was passive. The love story was sweet and romantic. Pete was a wonderful hero, although his role is secondary. The story is told from Avi’s POV and we don’t get to see into Pete’s head, but I didn't feel like I was missing something because he was open and honest. I believe in their happy ending and I’m happy they found each other.Another aspect I loved was that Levi was Jewish. His religion doesn't really play a role in the story, but I like to see some diversity. And overall I enjoyed the story, flaws and all. I think if you’re a fan of the author, you will like it. But if her books haven’t worked for you before, chances are this won’t work either because it suffers from the same issues her previous books had. It gets a recommendation from me, even though there’s much room for improvement. This is an author whose voice and stories I really enjoy.